At GDP | GUHDO , we pride ourselves in the ability to provide high quality tooling for CNC routers, panel saws, edge-banders, moulders, shapers and other woodworking machines. One of our strong capabilities is in designing exceptional stacked tooling systems, equipped with insert tooling at competitive pricing. We offer highly accurate, balanced insert tooling for cope, stick, raised panel, outside door edge profiles and much more! Curious about the design process? It entails punctual quotations, detailed drawings sent to you for your approval, and/or modifications, along with the confidence that your tooling will be at your door ready to perform at the agreed upon date to make your company more profitable! Need a quote? It’s yours for the asking! Need to tool up a new CNC machine? GDP|GUHDO has introduced a special priced CNC tooling starter package which provides a substantial savings on highest quality tooling. 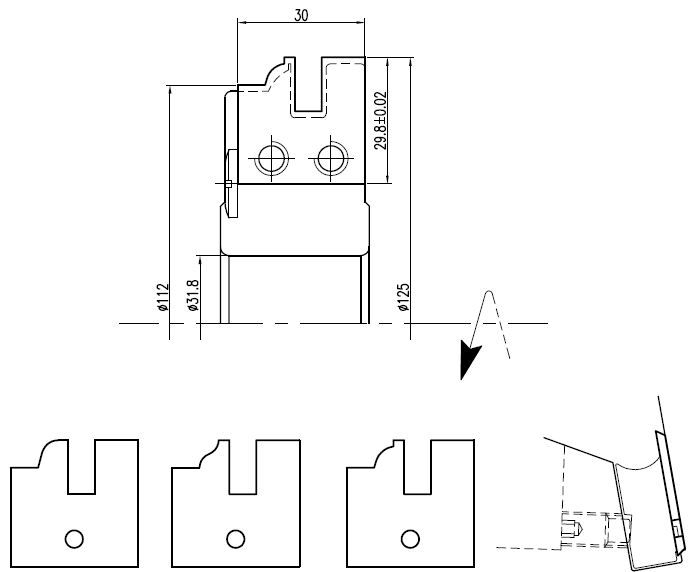 This kit includes 8 HSK tool holders (choice of style based on collet style preferred (SYOZ, ER40 or ER32) and corresponding 8 collets (choice of sizes). In addition, the customer can select 14 solid carbide bits (4 downcut and 10 compression styles) and 10 drill bits based on sizes needed. This package also includes a tool setup fixture, torque wrench with collet key and a spoil board cutter, which comes mounted on an heat shrink tool holder. Finally, a box of replacement insert knives for the spoil board cutter are also included. After receiving feedback from our customers regarding a desire for flexibility to get what is actually needed in a starter package, we customized this tooling package to allow the customer to choose which bits are needed. This package is available at a special price of $3499.00. (Made in Germany) supplied with ball bearing collet nuts (superior quality to static collet nuts). Choice between ER32, ER40 or RDO 35/SYOZ25 collet style. Choice of collet style and size. RDO 35 (SYOZ25), ER40 or ER32 style. HSK-F63 heat shrink tool holder. Includes one box of replacement inserts. Tool Setup Fixture A tool setup fixture is essential for accurate tool setup and proper tool tightening. It can be mounted to work bench or table. Torque Wrench and Collet Key A torque wrench and a collet key which corresponds to the collet style being used. 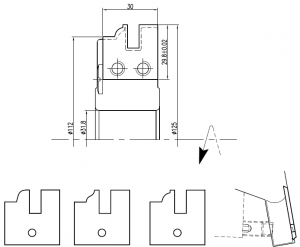 Choice of 10 compression style bits (any size 1/2″ or smaller), any carbide grade (for wood, composites or melamine) and chipbreaker style option if machining plywood. TCT Drill Bits (10): Choice of 10 drill bits of any standard diameter x 70mm overall length and choice of brad point, thru hole style or hinge boring bit. Now Here! GDP CNC TOOLING GUIDE! 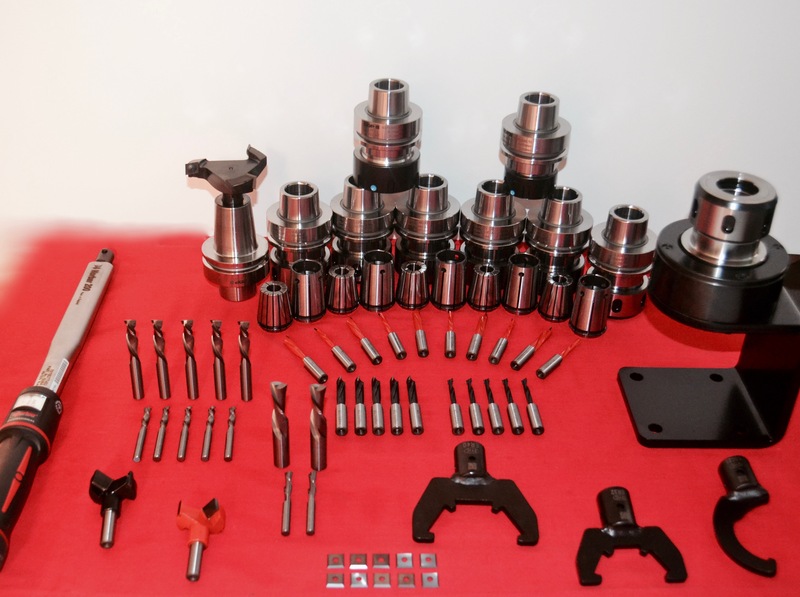 At GDP|GUHDO, we have put our resources together to provide a comprehensive CNC Tooling Guide. This guide is designed to provide the knowledge to support the most efficient use of your CNC tooling. We want to put the information into your hands any way that you can use it, so we also have a downloadable link to a PDF version of the presentation here. Below is a directory for both the video presentation and the PDF presentation. 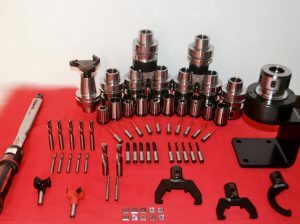 Posted in Adapters, Aggregate Heads, Clamping Systems, CNC Router Tooling, Custom Tooling, Cutterheads, Diamond Tooling, Drilling & Boring, Edgebander Tooling, FAQ, Featured Tools, General Blog Entries, How To..., Insert Knives, Insert Tooling, Materials, Measuring Instruments, Planer & Moulder Knives, Safety & Troubleshooting, Saw Blades, Woodworking | Comments Off on Now Here! GDP CNC TOOLING GUIDE! Heat Shrink Toolholder – Free Mounting with Insert Tool Purchase! The Heat Shrink Tool Holder offers some substantial benefits when compared to standard HSK-63F tool holders. A Heat Shrink chuck creates a more uniform, rigid connection between the CNC machine and the tool resulting in less vibration and a noticeably faster and smoother cut. Wondering how shrink fit tool holders work? The receiving end of the tool holder is heated with an electric heating induction machine. This causes the steel body to expand, allowing for the insertion of the tool shank. Once the tool shank has been inserted the heating element is turned off allowing the steel to cool and “shrink” around the shank of the tool. To remove the tool, just repeat the process. Because of the need for an induction heating element to change tools, many companies will find this system not ideal for using solid carbide tools. However, we offer this service for FREE when you purchase a Heat Shrink tool holder with any of our standard or custom insert tools. This system is ideal for longer life tools like PCD and insert tools due to the fact you do not have to remove the tool from the tool holder to change out the knives. With PCD tooling, if you utilize our sharpening service you can send the tool in with tool holder intact, we will take care of the rest. 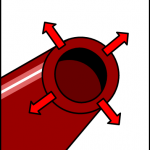 Are you interested in maximizing the precision in your shop? Contact us for more information on the Heat Shrink tool holders. 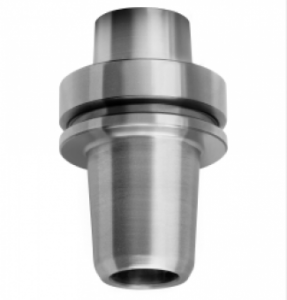 Posted in Clamping Systems, CNC Router Tooling, Custom Tooling, Diamond Tooling, Featured Tools, Insert Tooling, Woodworking | Comments Off on Heat Shrink Toolholder – Free Mounting with Insert Tool Purchase!